The Shire are punished for fielding an ineligible player in their win over the Highland League club earlier in January. Buckie Thistle have been handed East Stirlingshire’s place in the quarter finals of the Scottish Cup, after the Third Division club were thrown out of the competition for fielding an ineligible player. 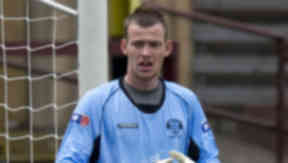 Goalkeeper Michael Andrews played in the Shire’s 1-0 win over Buckie on January 19. But a registration mix-up meant the on-loan player should not have featured, with the Scottish Football Association having not received the necessary paperwork to extend the keeper’s deal until the end of the season. 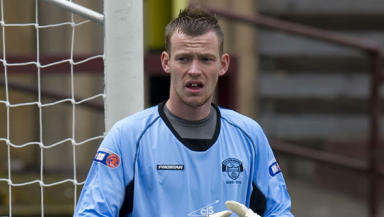 Falkirk, Andrews’ parent club, granted permission for the goalkeeper to stay at Ochilview until the end of the season on December 17. East Stirlingshire posted registration forms for the player to Hampden on the same day but those papers were not received by the SFA’s registration department. As Andrews’ original registration to East Stirlingshire expired on January 3, he was not eligible to play for the club in their cup match against Buckie, or in their Third Division tie with Clyde. As a result, Buckie will now host Brechin City in the last 16 of the Scottish Cup on February 5. The SFA confirmed East Stirlingshire's expulsion in a statement on Thursday afternoon, which read: "Following a breach of Cup Competition rule 39.1b, East Stirlingshire have been expelled from the Scottish Cup competition. The club were found to have fielded an ineligible player, Michael Andrews, in the above match. "The club will also lose any fourth round sponsorship monies owed. All misconduct decisions from the original match stand. Buckie Thistle now advance to round five." After Dunfermline Athletic were expelled, then subsequently reinstated for fielding an ineligible player against Stenhousemuir last season, the SFA modified competition rules to state any club found guilty of playing an unregistered player should automatically be thrown out without the right of appeal to the governing body. Rule 39.1 (b) of the SFA's handbook, relating to cup competition rules, states: “Where a club is found to have named within an official team line a player who is not eligible to participate in the relevant match in the competition pursuant to the registration procedures and/or the disciplinary procedures, then such club will be ejected from the competition.